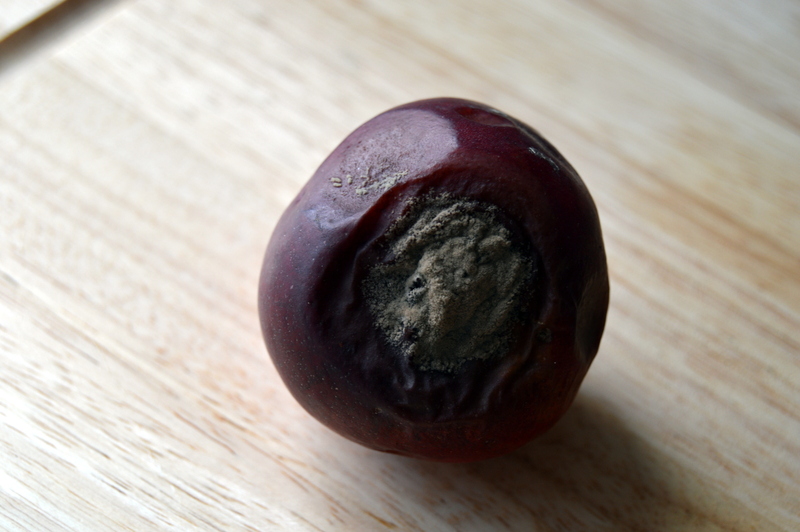 Most fruit is best stored at room temperature as it’s often hard picked and needs time to fully ripen. This can attract flies and all it just takes is one piece of fruit to start rotting and your home can become infested with tiny fruit flies. This is a simple and effective chemical free DIY fruit fly trap to humanely trap the flies and then take outside to release. It doesn’t use anything toxic as they are not harmed, just trapped so they can be released outside. They will lay eggs and die in a few days if they are stuck inside so its best to get them outside ASAP. 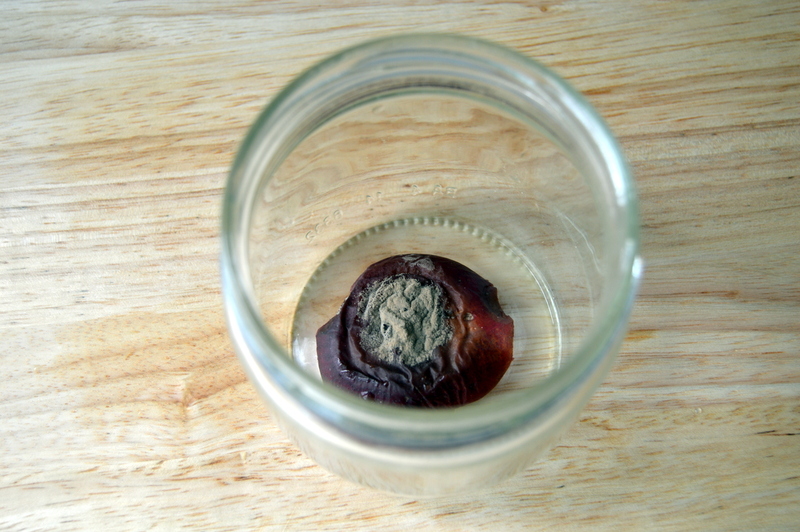 If you have a piece of fruit that has gone off you can slice off the mouldy part and use this as the Fruit fly trap bait. Else you can use a fruit skin such as the one from a banana or pineapple. Cut the mouldy bit off and use it as bait. The rest of the fruit is fine to eat. 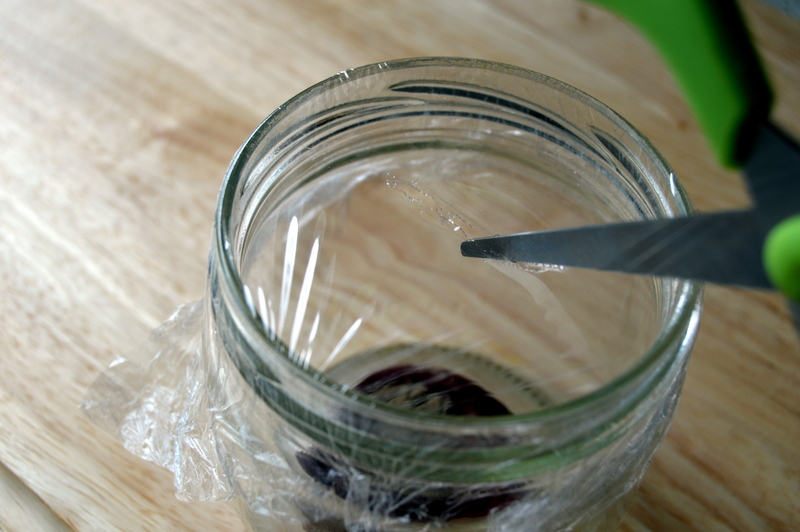 Reuse an old jam jar as the trap, put your bait inside. 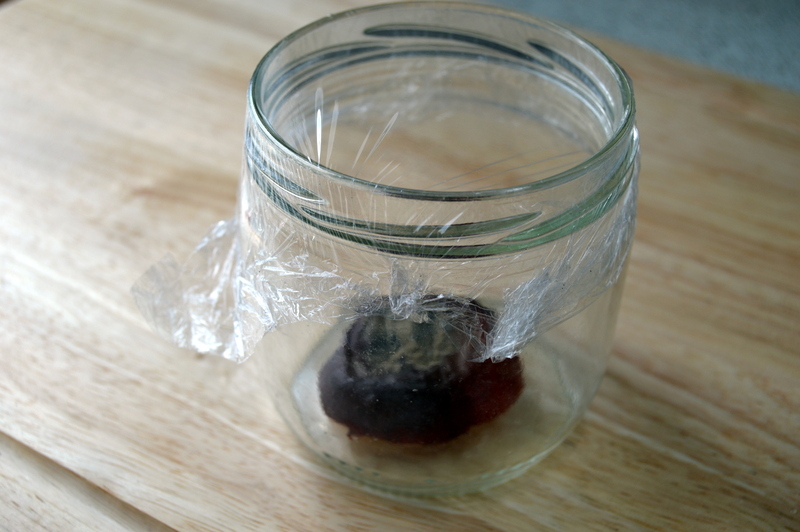 Cover the jam jar with cling film ensuring that it’s taut. Using a knife or a pair of scissors make a slit about an inch long. Place a Fruit fly trap in every room that you are having a problem with fruit flies. They will be attracted to the fruit, crawl inside and then be unable to get out. This will not harm them at all as long as you empty the trap at least every 12 hours. No need to kill these flies, they are harmless and using this trap makes it easy to set them free outside. Amazing trick to trap flies, works really well, thanks.